Is this Nintendo's response to Pac-Man? It sure seems to be. After all, both games feature cute-as-buttons protagonists (especially in the case of Devil World) who are tasked with clearing labyrinthine levels of pellet-like items while avoiding meandering baddies. In that context, this Shigeru Miyamoto-designed title doesn't fare so well--Namco's arcade classic wins the competition, hands down. 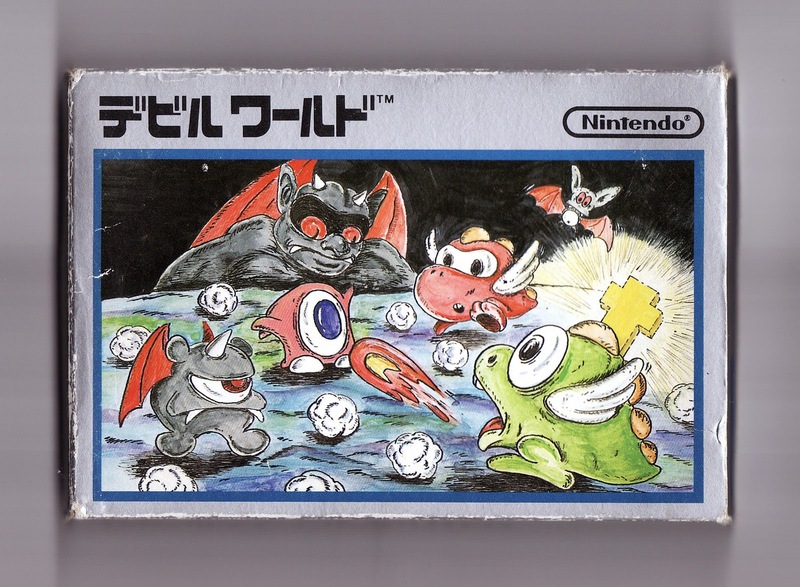 Taken on its own merits, though, Devil World is an enjoyable little diversion from the bevy of arcade ports (Donkey Kong, Mario Bros.) Nintendo released alongside it at the beginning of the Famicom's lifetime. So, what keeps Devil World from stacking up positively against Pac-Man? It certainly isn't its graphics or soundtrack, both of which are better, arguably, than its Tōru Iwatani-designed counterpart. No, what holds Devil World back are the overabundance of ideas that Miyamoto shoves into the game, seemingly to differentiate his creation from Iwatani's. Although some of them--the multi-scrolling stages, especially--are interesting, most of them just seem to get in the way of what should have been a simple affair. I've been way interested to see what you thought of this one for a long time. I'm a little disappointed, though. I was hoping you'd say it was great! But hey, the game speaks for itself, I guess...I might have to track a ROM of this one down. Don't get me wrong, Justin, it's a good enough game, but it's not as accessible or even as enjoyable as, say, Donkey Kong or Pac-Man (its main counterpart). Some of those innovations alluded to in my review/post make it less fun than it could have been. To put it another way: I tend to pick up this game, play it for a few levels and then turn it off. I rarely play it more than that -- unlike, say, Donkey Kong or Ms. Pac-Man or other games of the era, which I often get lost in for hours. That said, I think you definitely should try it at some point. I'd love to hear what *you* think about it -- esp. if your opinion differs from mine in any way. The best thing about Devil World is the music. 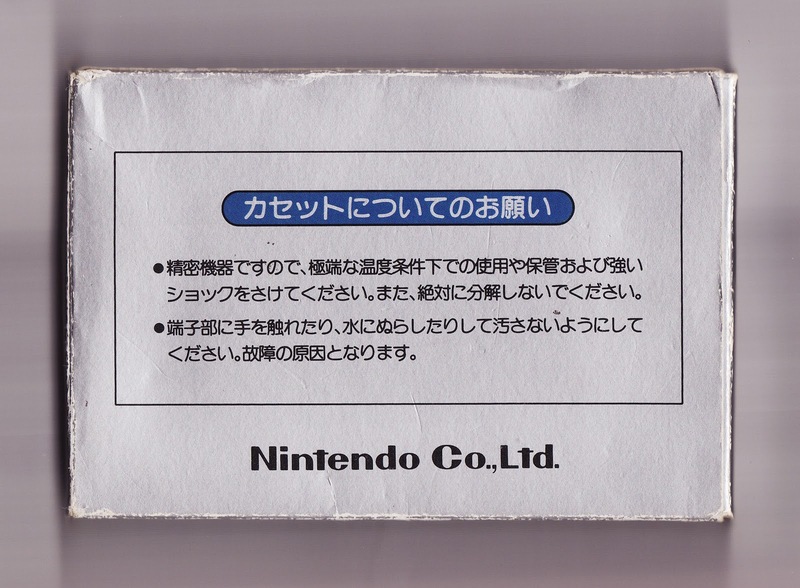 At least, in terms of the remixes it got on that DSiWare game. I forget what it's called. Bit, something something. That puzzler that based on Famicom era games. I can't be bothered looking it up right now but I love it anyway. I think you're talking about Picopict/PiCTOBiTS/PiCTOPiCT, Suika. I haven't played the game, sadly, but I wish I had! Anyway, yes, the music in this game is rather nice! A very good summation of this game. Good enough to play every once in a while, but not as good as Pac Man or Donkey Kong. 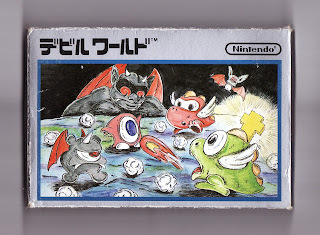 If memory serves, this one wasn't released for the NES, which has always been a puzzle as its probably one of the best Famicom games never to make it to North America. I assume its because of the "devil" reference and the fact that playing this game would inevitably have led to some mass satanic uprising among middle America's youth in the mid-80s. Makes perfect sense. You're right, by the way, it was never released in the US -- likely because it had the word devil in the title and included "religious imagery." 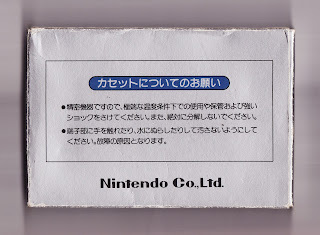 It was released in Europe, though, and I believe it's currently available in the US via the Wii Virtual Console. The world's sexiest tennis player, eh?